A retail bank is a bank that works with consumers, offering basic banking services like checking accounts, savings accounts, loans, and more. Retail customers are members of the general public taking care of personal needs (as opposed to organizations such as governments and businesses that might need more complex services). Retail banks handle financial needs for everyday spending as well as life events like buying a home. Bank accounts like checking accounts, savings accounts, and retirement accounts. Checking accounts often come with a debit card for making purchases and the ability to pay bills online or electronically. Money market accounts pay slightly more, with a few restrictions on how often you can spend the money. Certificates of deposit (CDs) pay more than savings accounts, but you usually need to leave your money untouched for at least several months to avoid early withdrawal penalties. Safe deposit boxes keep small valuables safe within the bank’s walls (so they can’t be stolen or destroyed while in your home). Home loans help people buy a home, and second mortgages allow borrowers to refinance existing loans or take cash out of home equity. Auto loans help people buy a car, and can also be refinanced. Unsecured personal loans can be used for any purpose and do not require you to pledge collateral. Revolving lines of credit (including credit cards) allow borrowers to spend and repay repeatedly without applying for a new loan. These services make it easier for individuals to handle their finances. It is possible to live without a bank account, but life is more difficult. Without banks and credit unions, you might end up spending more time on routine tasks and paying more fees for one-off transactions. Banks exist to make a profit, and credit unions also need to bring in revenue to pay the bills. How do they do it? The most basic way banks earn money is to make loans with customer deposits and charge a higher interest rate on those loans. The reality is a bit more complex, and service fees also boost banks’ bottom lines. For example, banks earn overdraft fees when you spend more money than you have available, and they charge modest fees to print cashier’s checks or send wire transfers for customers. It might help to contrast retail banks against other types of banks and talk about what retail banks don’t do. This can be confusing because some banks work in several markets: they are retail banks, and commercial banks, and investment banks. 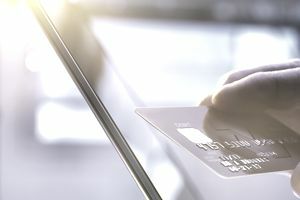 Commercial banks focus on business customers (and you might be able to open a business account at the same bank you use for your personal needs). Businesses have different needs, such as the ability to borrow for operations and the need to accept various types of payments from customers. Investment banks are also different. They help businesses operate in the financial markets. For example, an investment bank might help a business raise money by selling bonds to the investor.